Hello everyone! Are you looking for budget-friendly smartphone and tablets? Then, check this out! 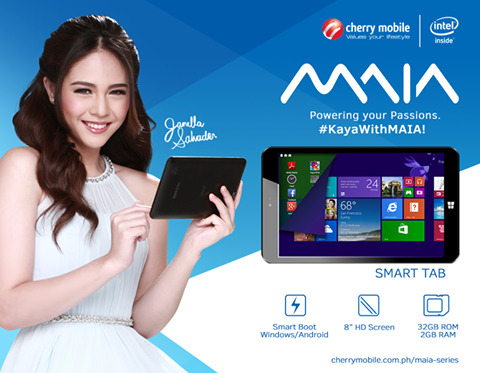 The performance-driven MAIA series was ofﬁcially launched alongside Cherry Mobile's newest endorser Janella Salvador with the campaign #KayaWithMAIA. “Cherry Mobile's latest MAIA series is dedicated to the youth with their untiring passion in mind By introducing these devices, we hope that the youth and young professionals would have more avenues to express their passions and realize their dreamsjust like Janella, who embodies our campaign #KayaW/IhMA/A," said Maynard Ngu, CEO 7 Cherry Mobile. 32GB via MicroSD. The 7" widescreen tablet is equipped with a USB OTG for maximum on-the-go productivity. It also comes with Dual-SIM and HSPA+ capabilities. battery on top of WiFi and dual-sim HSPA+ capabilities to ensure that users maximize their productivity wherever they connect. The MAIA Series devices are available at Cherry Mobile Kiosks, and Concept Stores. 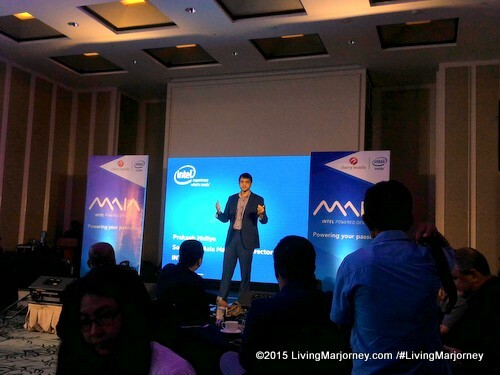 MAIA Fone i4 is priced at P1,999 while MAIA Pad is at P2,999. MAIA Smart Tab plays the Hero device which is available at P4,999. P.S. I haven't tried any of the Cherry Mobile's MAIA Series but looking at the specifications and the pricing, it looks promising. Don't you think?